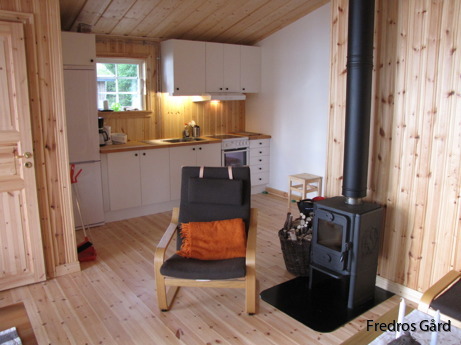 The larger cabin (45 sqm) has two bedrooms (four beds), one kitchenette, one livingroom and one WC/Shower. 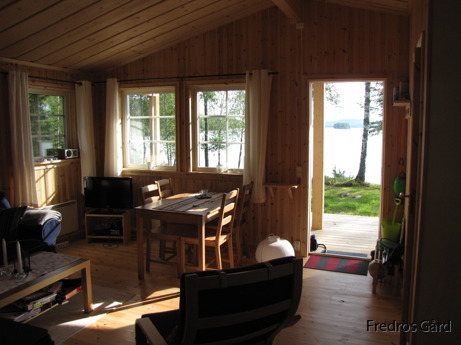 It is fully equipped with furniture, kitchenware, micro, satellite-TV and a fireplace. 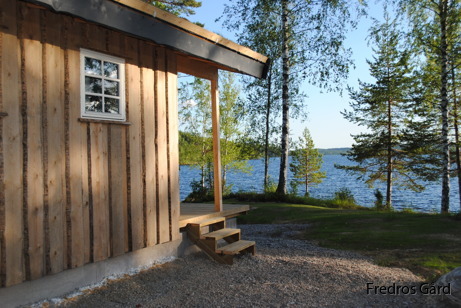 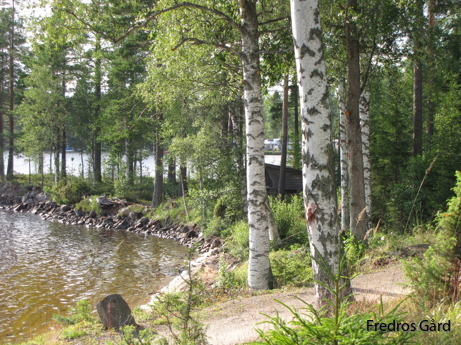 The smaller cabin (20 sqm) could be seen as a guest house. 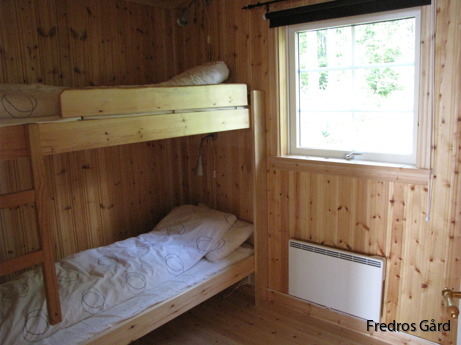 It has a kitchenette, a micro, a dining place, two beds and WC/Shower. 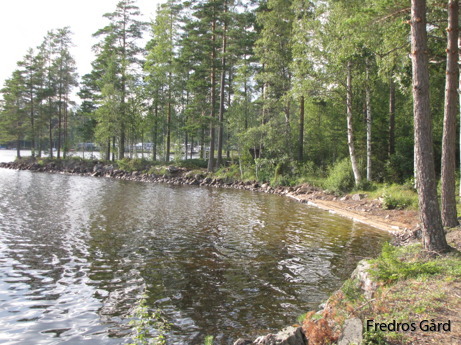 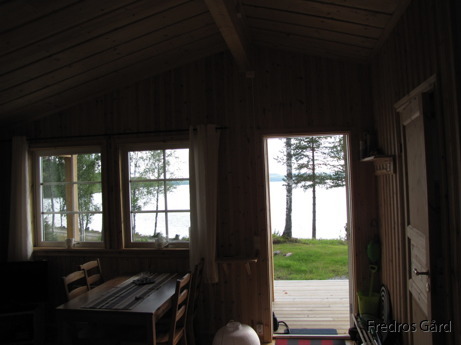 The cabins could be hired separately or together for a bigger company! 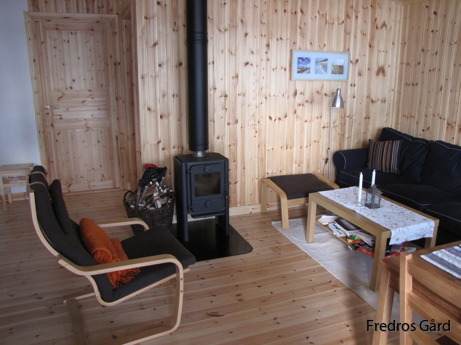 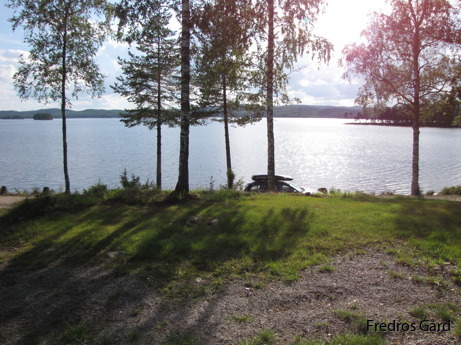 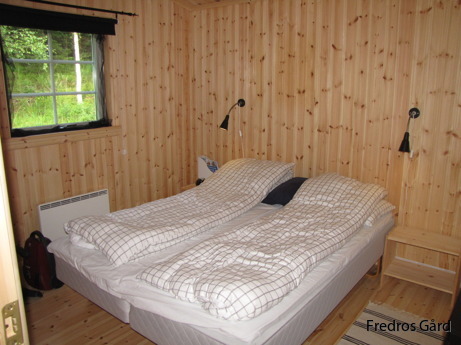 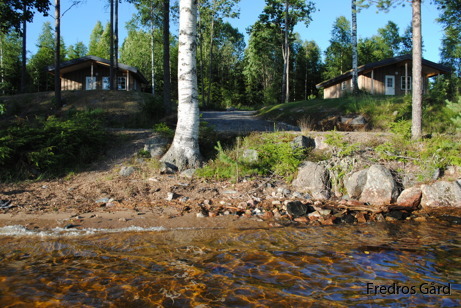 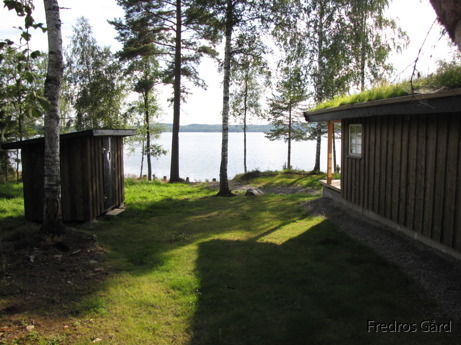 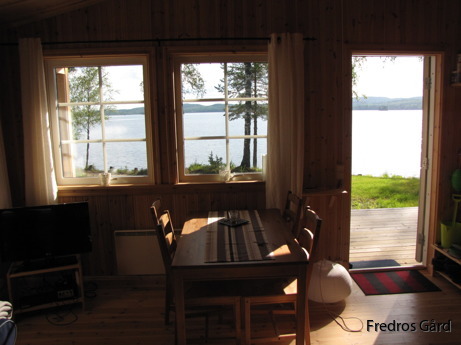 Welcome to Fredros and enjoy all seasons in these cosy cabins!